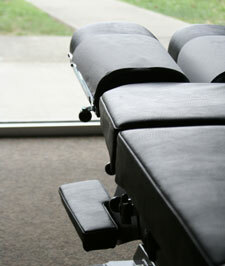 The techniques and services used at Dynamic Spine Center are specifically chosen for their efficacy, proven by decades of scientific research. When you come in to see us, you’ll get the absolute best care from our expert team. Listed below are our most commonly used techniques and services to help you back to health. What we put into our bodies makes up a big part of our health, and we can help you make the right choices. Whether you’re in chronic pain or just want to live a better life, we can assist you in designing a diet that will work for your lifestyle. We’ll make recommendations to limit the foods that aren’t helping you; getting you out of pain quickly and helping you maintain your health. This is also for those with digestive issues or other side effects related to nutrition.